Celebrating love, life and family, capturing images that you and your family can treasure for many years to come with beautiful art products. 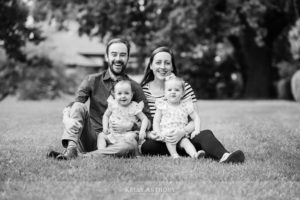 Our outdoor, natural light family portrait sessions are relaxed, natural and fun. Newborn, baby and child photography is about capturing moments and memories of these precious years. 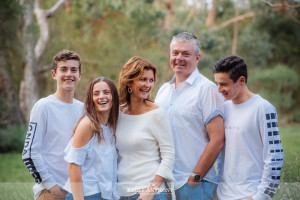 Our focus is to capture the connection you share as a family, their personalities and character. Celebrate this special time in your life with a maternity portrait session with your partner. Fun, relaxed and natural portrait images. Planning a family get together or celebrating an important milestone? Capture the moment with an extended family portrait session with group portraits, family portraits and individual portraits. Professional photos for flight attendant applications. Ensure your application makes a great first impression with professional headshots and full length photos that might make all the difference to getting your dream job. Portrait photography gift vouchers make the perfect gift for Christmas, a newborn arrival, Mother’s Day, Father’s Day or birthday! 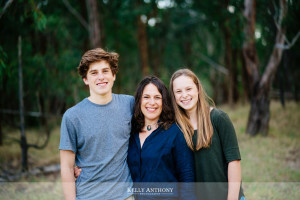 A portrait gift voucher from Kelly Anthony Photography is a gift that will last. "Thank you for the great photos, it’s amazing that you managed to capture these great smiley shots of our little boy that day!" "Thank-you to Anthony for beautiful family portrait shots. 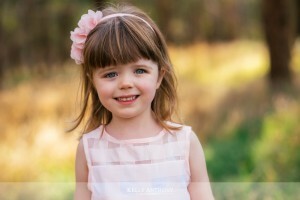 Not only were you lovely to work with at the shoot, but the photos are amazing." "Anthony was very helpful and accommodating from the beginning to the receiving of our photos. My girls and I are very grateful. Thank you!" 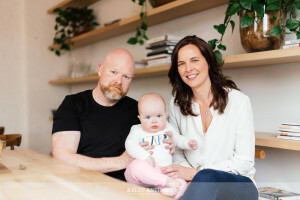 We are 'on location' family portrait photographers, focusing on wedding, newborn, baby, child and family photography, based in Melbourne's Eastern Suburbs. We are based in Surrey Hills, but happy to travel to any location in Melbourne and even interstate and overseas. We also work in suburbs nearby us, in Montmorency, Templestowe, Eltham. Warrandyte, Briar Hill, Macelod, Lower Plenty, Watsonia, Rosanna, Greensborough, Diamond Creek, Eltham North, Doncaster, Bulleen, South Yarra, Brighton, Brighton East, Hampton, Bentleigh, Caulfield, Caulfield East, Armadale, Ashwood, Ashburton, Burwood, Richmond, Toorak, Camberwell, Hawthorn, Hawthorn East, Canterbury, , Mont Albert, Blackburn, Box Hill, Mount Waverly, Glen Waverly, Forest Hill, Nunawading, Doncaster, Doncaster East, Donvale, Balwyn, Balwyn North, Mont Albert North, Kew, Thornbury, Fairfield, Ivanhoe, Abbostford, Glen Iris, Malvern, Carnegie, Murrumbeena, Oakleigh and surrounding suburbs. Why not get in touch to find out more about our natural family portrait photography today!